If you are over age 65, you may be experiencing some of the more trying aspects of aging. Many seniors report having decreased levels of physical mobility while having higher levels of anxiety, stress, depression, and substance addiction. If this sounds like you (or someone you care about), meditative yoga may be able to help. Keep reading to learn how to get started with meditative yoga to help address some common age-related challenges. The first thing to do as you prepare to start a meditative yoga practice is to decide where you’ll practice each day. Some people, especially beginners, prefer to start at a licensed yoga studio, where they can learn from a trained professional. Others, such as those who are shy or are more intermediate yoga practitioners, prefer to practice in the comfort of their own home. Whatever the case may be, a meditative yoga room is highly recommended. You might choose a spare bedroom or even a corner of a room. The important thing is to make sure that the space is calming and soothing to you, and that you won’t be distracted or interrupted during your practice. What was once seen as a young person’s exercise, yoga is increasingly being practiced by people across all age groups. In fact, it is estimated that 17 percent of yoga practitioners are in their 50s, while 21 percent are over the age of 60. So, why should you choose yoga? As we age, our bodies can become more prone to stiffness, muscle ache, joint pain, and injury. By gently stretching the muscles, yoga can reduce overall musculoskeletal pain while simultaneously increasing strength. Stretching is also great for stress relief, and it’s recommended you add it to your daily routine. For instance, stretching can release tension in the body, ease arthritis pain, and loosen age-related stiffness. As your physical ailments melt away, you’ll feel lighter and less weighed down by stress. Yoga is often commonly used as a preventative exercise to combat muscle injury by keeping muscles adaptable to change. Evidence suggests that meditative yoga can reduce the risk of severe falls by improving balance. Enhanced strength, flexibility, and balance can help seniors live a more independent life. After adding yoga into your life, you may find that stiffness and pain is reduced and everyday activities such as walking, cooking, and chores become easier. It is estimated that as many as one in five seniors experience a mental health concern as they age. Anxiety, depression, and stress are among the most common mental health concerns among those age 65 and up. Mental health issues are often difficult to treat because they stem from a number of interconnecting genetic, environmental, and lifestyle factors. That being said, there is evidence to suggest that mental health can be improved through increased exercise, reduced muscle tension, and enhanced mindfulness. 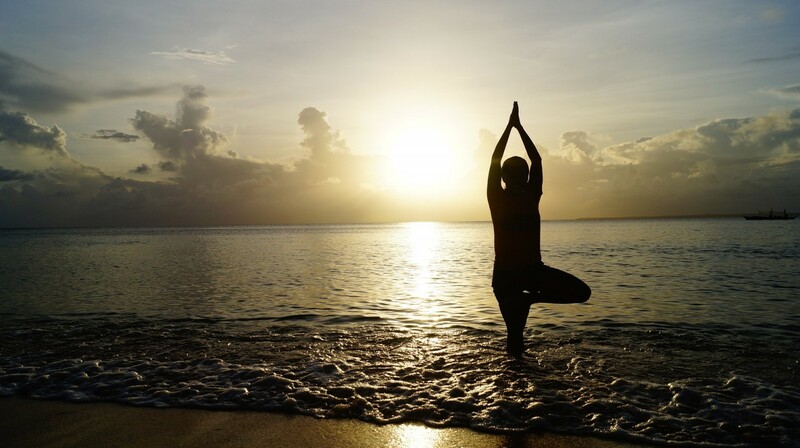 Yoga can help draw a connection between the physical and spiritual self and can increase feelings of relaxation, groundedness, and connectivity. Clinical psychotherapist Erin Wiley recommends yoga to her clients because it builds positive skills in coping, stress management, and relaxation. For seniors suffering from anxiety, stress, or depression, yoga can strengthen inner reflection and mindfulness, which can improve overall mental health. Addiction among seniors is often the result of loss, depression, life changes, and/or declining health. Alternatively, an individual may have struggled with addiction throughout his or her life with the adverse physical and mental effects becoming more apparent with age. To help people overcome addiction, treatment facilities are increasingly taking a holistic approach to addiction treatment. These facilities focus on improving the overall well-being of the individual in addition to addressing the addiction itself. To help people connect their physical and spiritual self, this new holistic method often incorporates yoga. Increasing the connection between mind and body has been proven to increase self-confidence, facilitate emotional healing, and help people manage stress. Meditative yoga can also improve a person’s ability to make positive choices through increased personal reflection. The feeling of personal wholeness associated with yoga can aid immensely in addiction treatment and recovery. With yoga swiftly gaining popularity, it is clear that millions of people are seeing the incredible benefits yoga has to offer. If you want to tackle some of the most common age-related physical and mental challenges, start connecting your mind, body, and spirit through meditative yoga. Enhanced physical and mental health can aid immensely in helping you live a meaningful, independent life regardless of age. If you are interested in starting a yoga regimen, begin by talking to your doctor.